Financial planners are increasingly embracing a “holistic,” broad-based service model that focuses less on investment returns and more on developing a healthy financial lifestyle. Yet clients have yet to completely buy into the new model, with many still stuck on investment returns as the primary way of judging the effectiveness of their financial adviser, a new Morningstar report finds. The study has struck a chord among financial planners, who agree that some clients are still tempted to focus mainly on portfolio returns, even if they disagree on how much of a challenge this still presents. Some planners say they have found ways to help clients shift away from a primary focus on market returns, citing the importance of establishing the right tone from the start of the relationship and training clients to see investing as a long-term game. Still, despite such efforts, other planners say getting clients, especially older ones, to shift gears and stop focusing on daily, monthly and quarterly returns remains a significant challenge. Such is the title of the new Morningstar report, which polled nearly 700 investors and more than 160 advisors. Investors were told to rank in order of importance 15 different attributes associated with financial planners, with planners most valued for their help in helping them reach their “financial goals” and “maximize” their returns. Dead last for investors, at No. 15, was the help planners provide in helping clients stay in control of their emotions and avoid irrational or hasty investment decisions. This comes despite the fact the behavioral aspect of financial planning — the ability to hammer out long-term investment goals and avoid panic selling — is the single most valuable part of the relationship as measures by pure returns, Morningstar notes, citing research by Vanguard. Even so, some planners say it is possible to effectively counter this tendency on part of a still large number of clients fixate on short-term portfolio returns. The key is establishing the right tone early in the relationship with clients, and helping them understand the true value of planning in meeting their financial and lifestyle goals, as opposed to return chasing, say planners like James Bayard, co-founder of Capital South Wealth Management LLC in Louisiana. “This allows us to take a step back from ‘beating the market’ and come up with an objective rate of return that needs to be achieved,” said Bayard, a certified financial planner. If a prospect is set “on ‘beating the market’ I would first attempt to address just how difficult this is and then refer them elsewhere,” Bayard said. Weeks starts off every client meeting talking about their plan, saving the last five minutes to discuss portfolio results. “I have lost more than one client because they wanted to trade stocks to try and outperform indexes and were not interested in financial planning,” Weeks said. Eric Walters, president and founder of SilverCrest Wealth Planning in the Denver area, noted that planners have the power, through how they structure their meetings and conversations, to help clients see the big picture with financial planning. Walters suggests setting up a running list of financial planning projects and “limiting how much time they spend on investment results.” He starts the meeting by focusing on his clients financial planning needs, while leaving the discussion of investment performance to the end or to an annual, investment planning meeting. “I think many clients focus on investment returns because advisors have 90% of their meeting materials focused on investments,” said Walters, a CFO. Monica Dwyer, a vice president, wealth advisor and CFP at Harvest Financial Advisors in West Chester, Ohio., said when clients seem overly focused on performance, she uses it as an opportunity to dig deeper into what their underlying goals and motivations are. In one case, a client who peppered her with performance questions each month was under pressure from one of his sons to boost his investment returns so there would be more to pass down when the father died, Dwyer noted. The client had “made the mistake of telling his children that his hope was that they would each inherit $1 million,” Dwyer said. “He viewed his money as investments that were meant to be passed down as family wealth to the children and was under pressure to die with $3 million in assets,” Dwyer said. Yet challenges remain, with some clients not so easily budged from an overriding focus on portfolio returns, planners say. “It will probably take a whole new generation to change that,” Alves said. 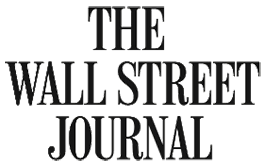 And John Gugle, a CFP and chief investment officer and principal of Alpha Financial Advisors in Charlotte, N.C., said some clients are “still perceiving us as their investment managers,” despite efforts to offer a broad slate of financial planning services. The industry’s revenue model, which still relies heavily on financial planning firms earning a percentage of assets under management, is a significant reason for this, Gugle said. “I believe this is due to the fact that we bill our services against AUM, so I can understand why clients would be confused,” Gugle said. 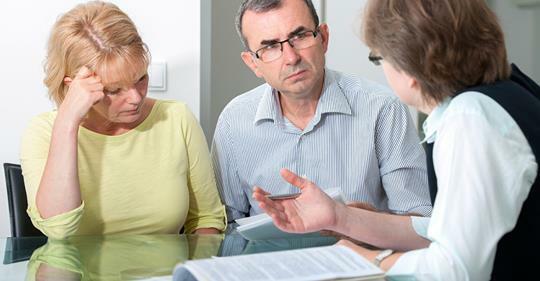 Alpha is slowly but steadily changing clients’ perceptions as it adds value through “tax planning, insurance reviews, and estate planning for clients,” but it is not an overnight process.